Genepax Co Ltd explained the technologies used in its new fuel cell system "Water Energy System (WES)," which uses water as a fuel and does not emit CO2. 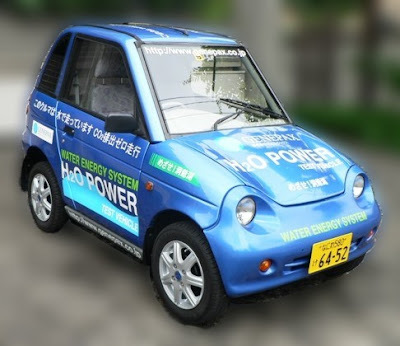 The system can generate power just by supplying water and air to the fuel and air electrodes, respectively, the company said at the press conference, which took place June 12, 2008, at the Osaka Assembly Hall. Although the production cost is currently about ¥2,000,000 (US$18,522), it can be reduced to ¥500,000 or lower if Genepax succeeds in mass production. The company believes that its fuel cell system can compete with residential solar cell systems if the cost can be reduced to this level. Electric Automobile Travels Nearly 200 Miles on One Charge!